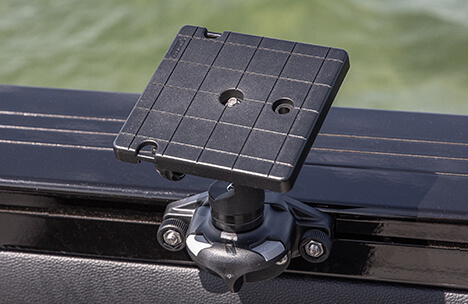 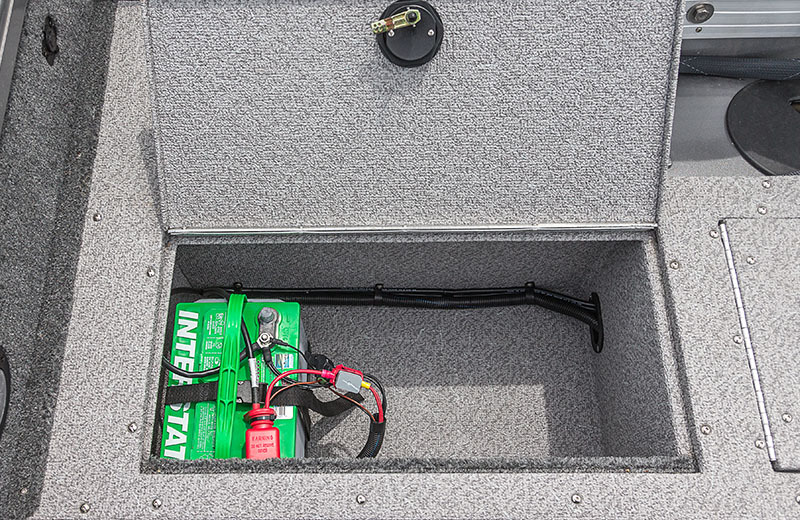 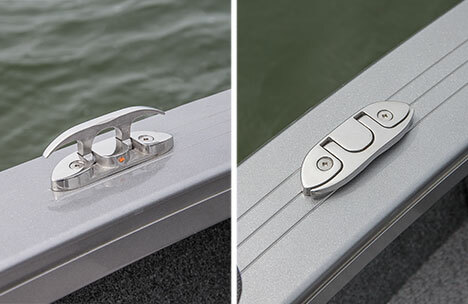 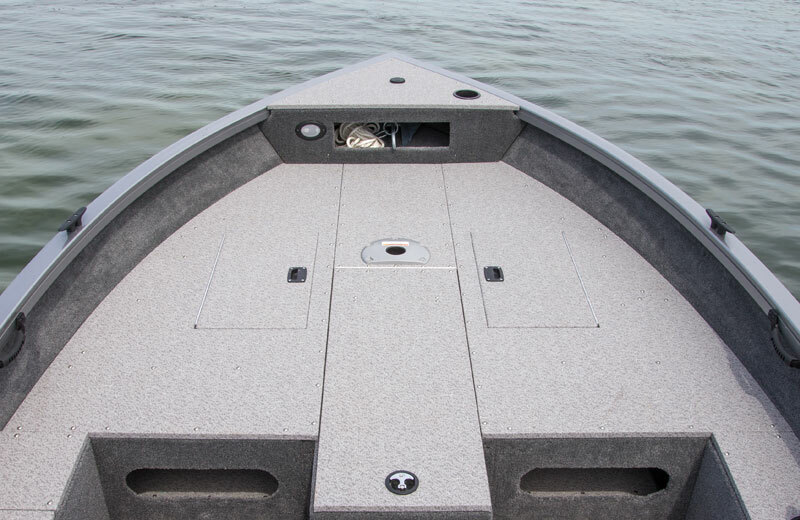 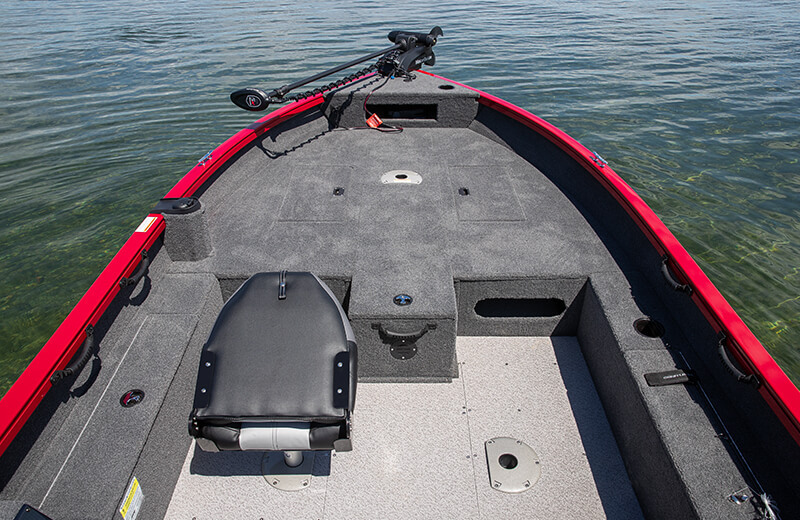 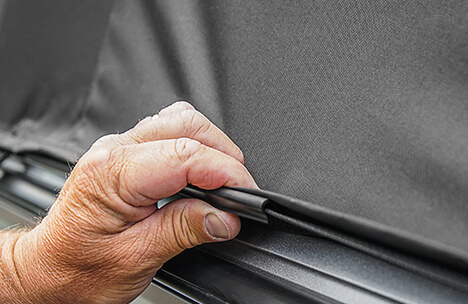 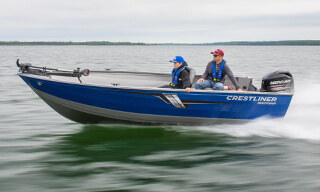 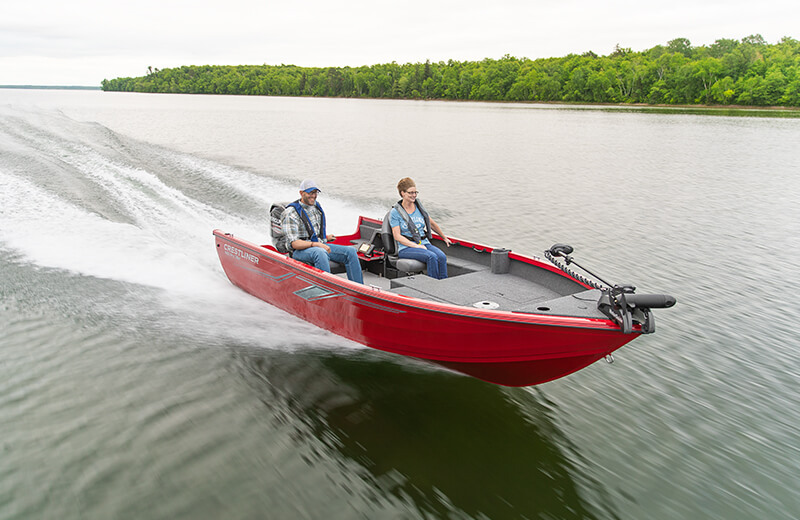 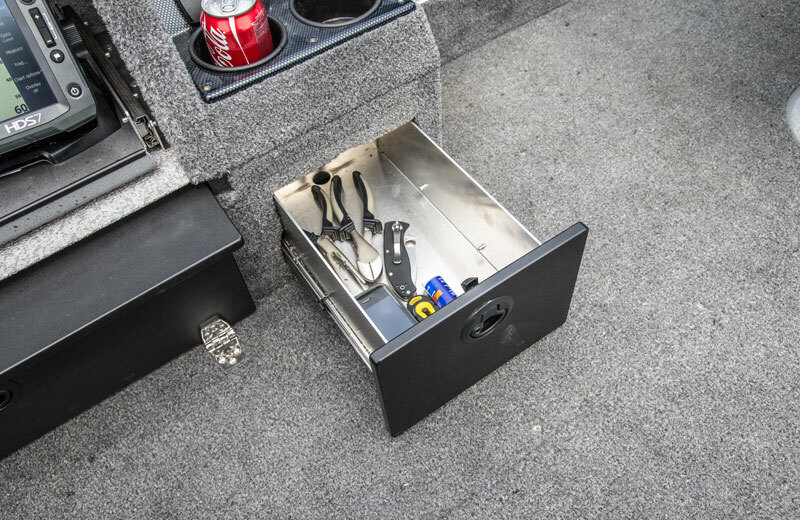 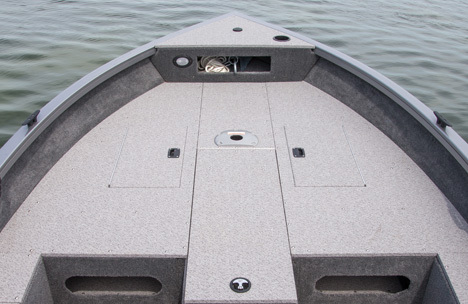 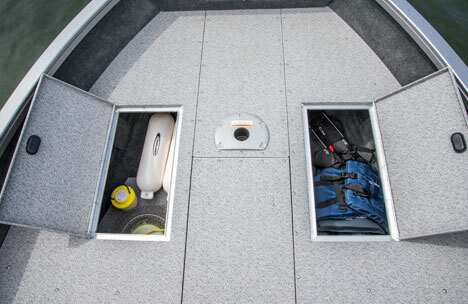 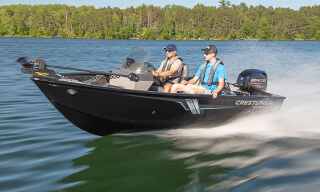 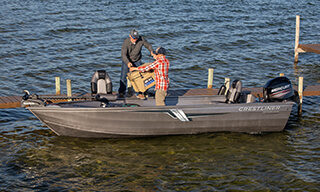 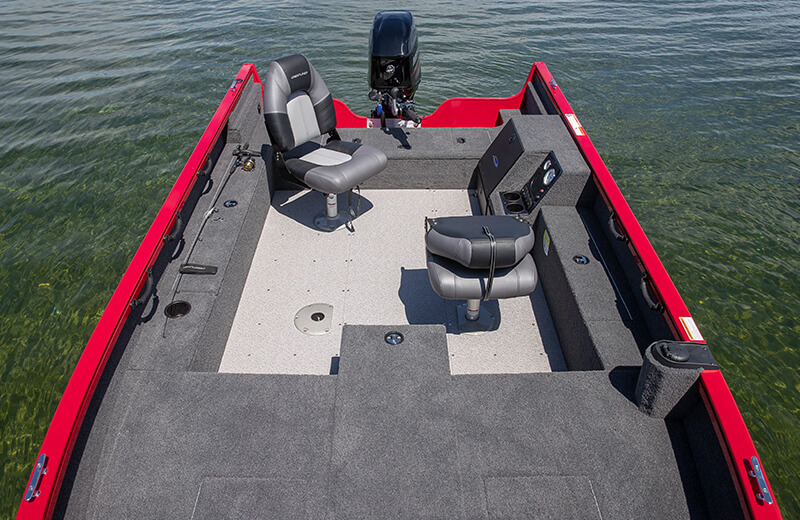 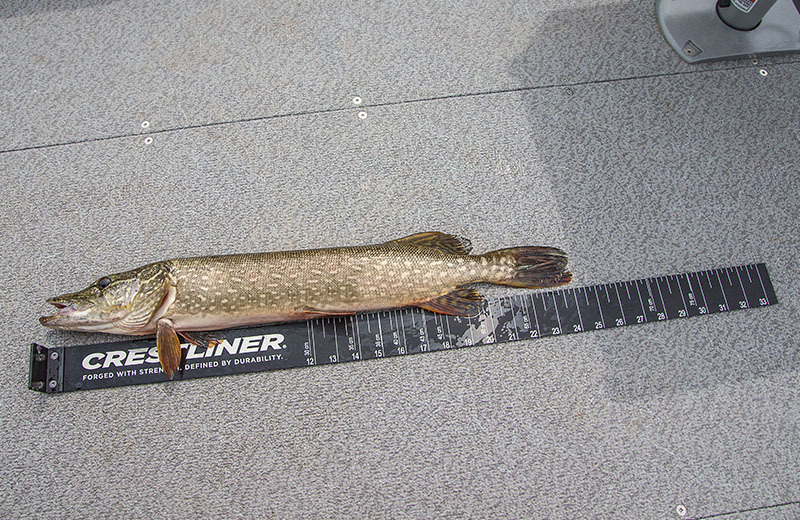 The all-welded aluminum hull allows you to weather any water you encounter to get to the perfect fishing spot. 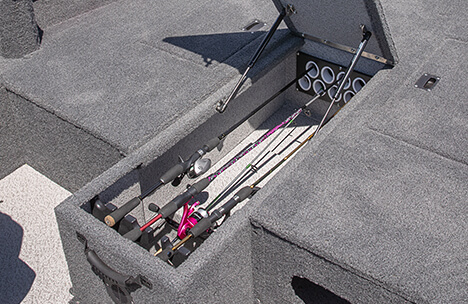 Once you’re there, grab one of up to 10 rods from the high-capacity center rod locker, and get ready to have a successful day. 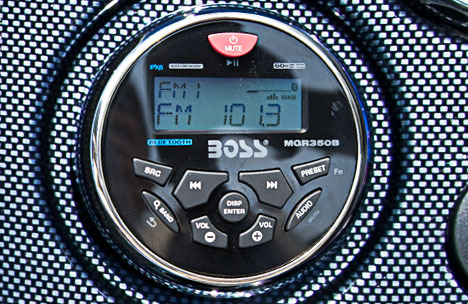 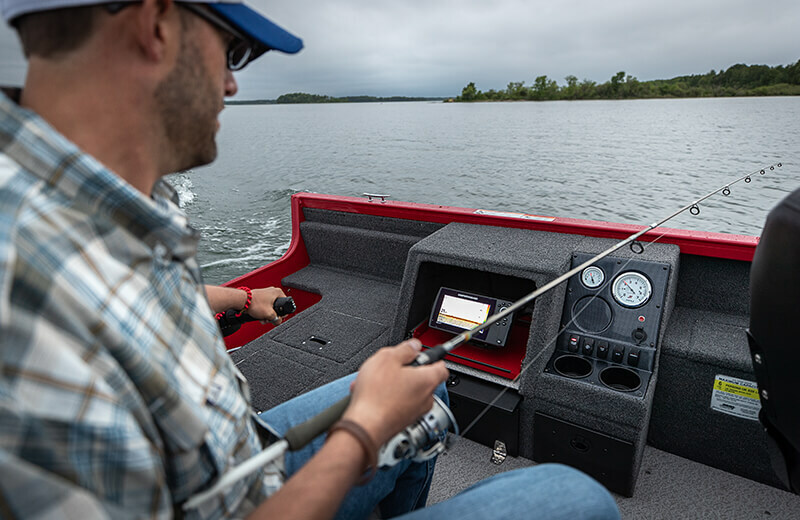 With the intuitive command console featuring gauges, cup holders, tackle storage and electronics, you’ll have all the control you want right from your seat. 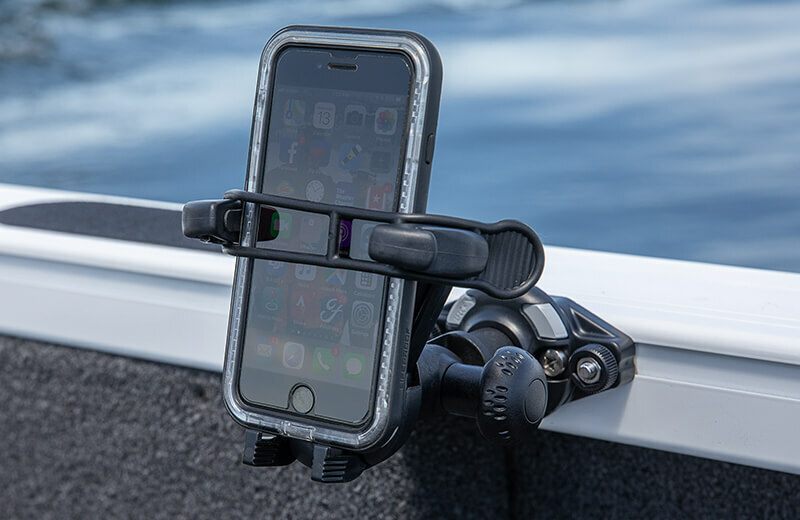 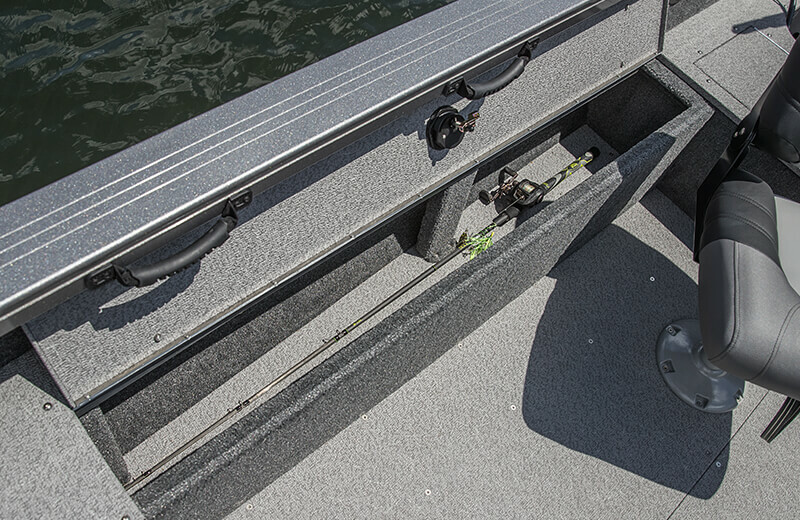 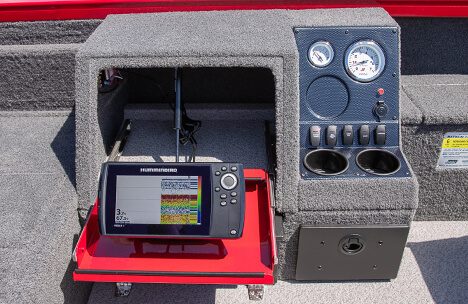 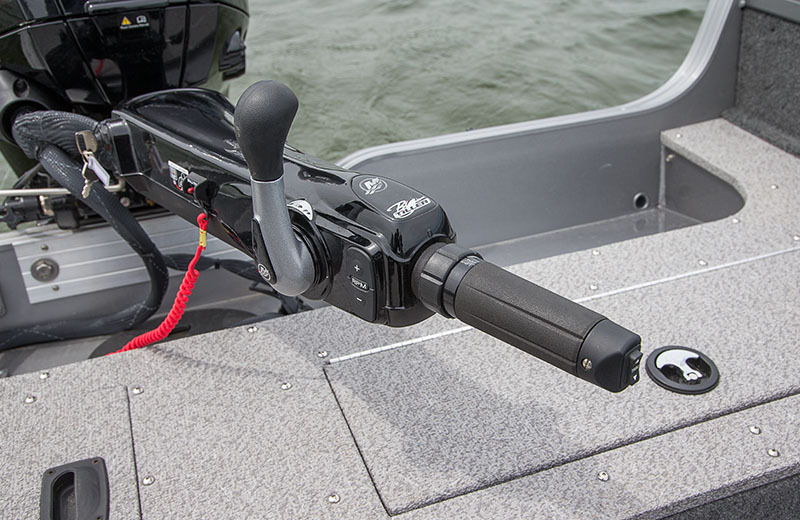 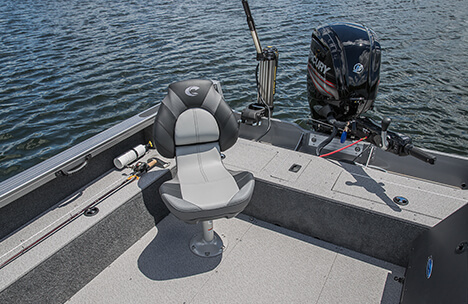 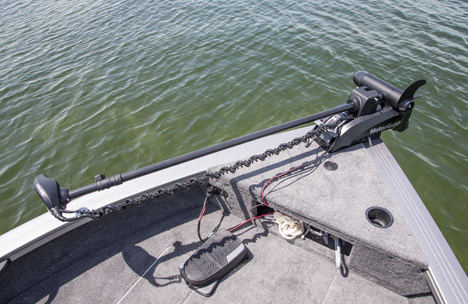 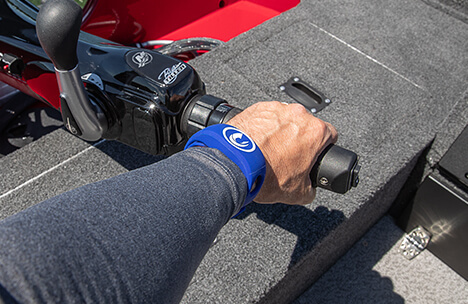 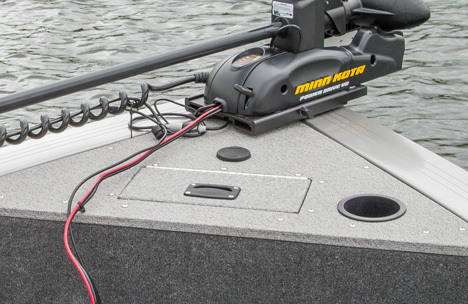 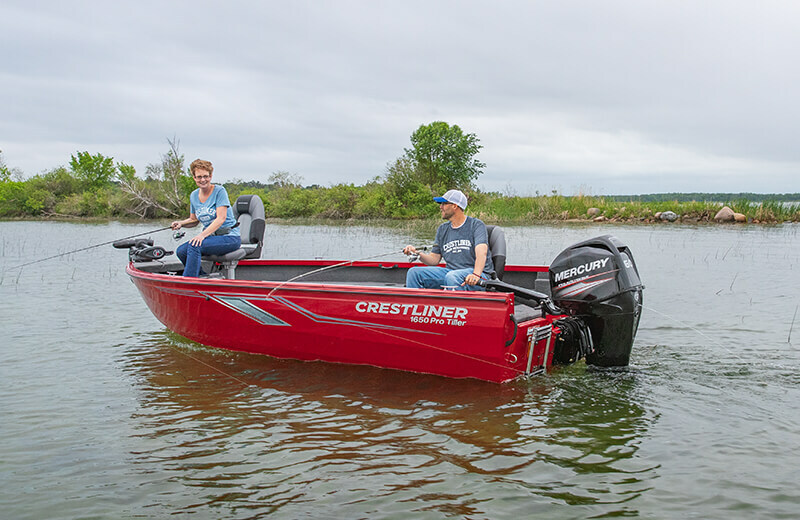 It’s easy to see why stepping into the 1650 Pro Tiller will have you feeling confident that you have everything you need to reel in a great catch. 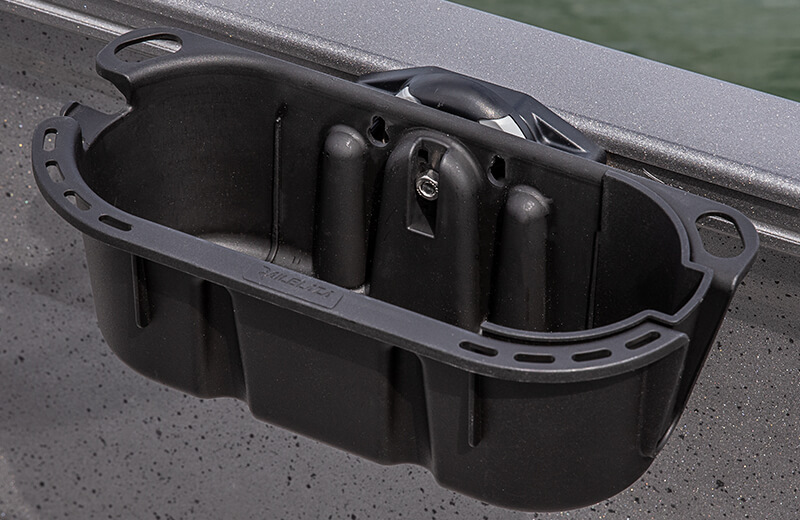 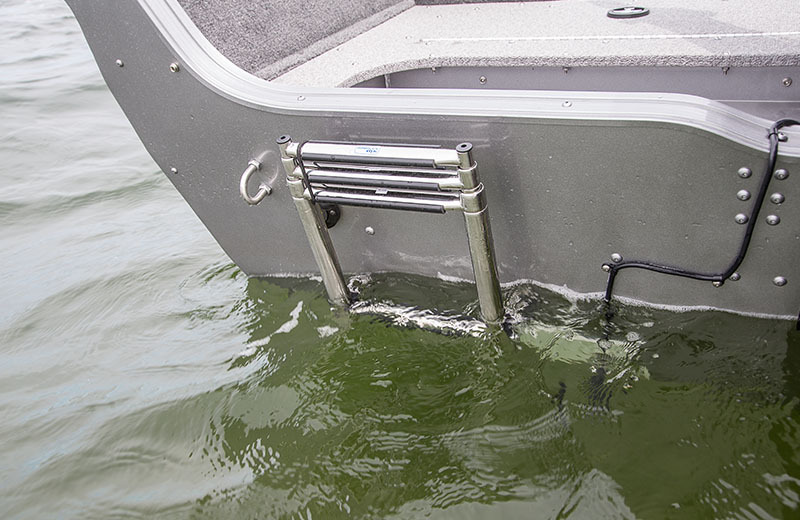 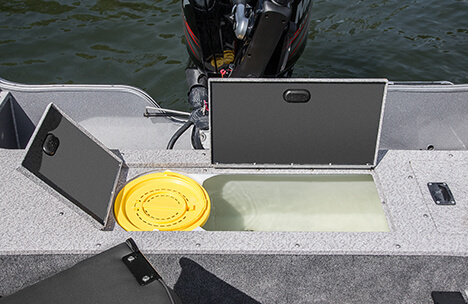 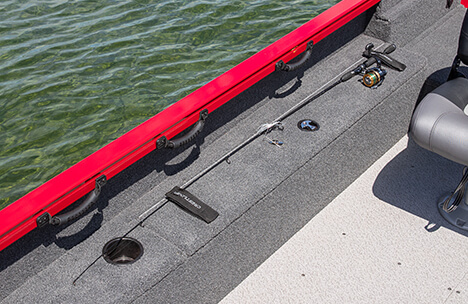 A 15-gallon stern livewell and dedicated 3.5-gallon baitwell are positioned within easy reach on both sides of the tiller control. 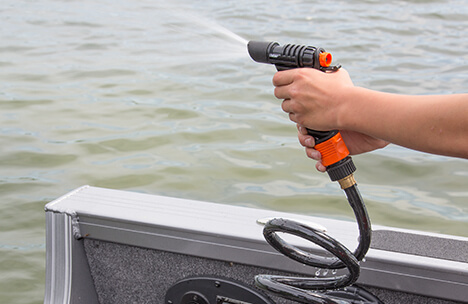 Convenient outlet access for you to troll the water when you want.